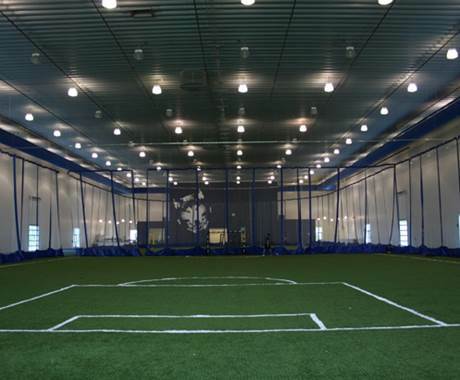 A 200-metre track, Pro-grade artificial turf field, Climbing wall, Additional weight training, Aerobic and cardio areas. * The Hangar is also home to the new Sports Medicine Clinic. All those wishing to use the facilities must visit the central check-in located on the upper level. Your card or tag will be scanned and information verified. You will then be buzzed to the lower level.